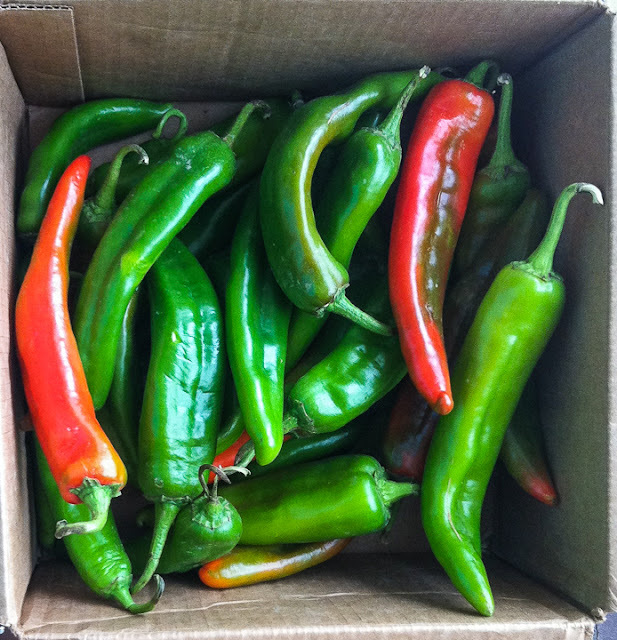 Question: What could be more of a treat than five pounds of fresh chiles from the Hatch Chile Store in Hatch, New Mexico, delivered right to my door? 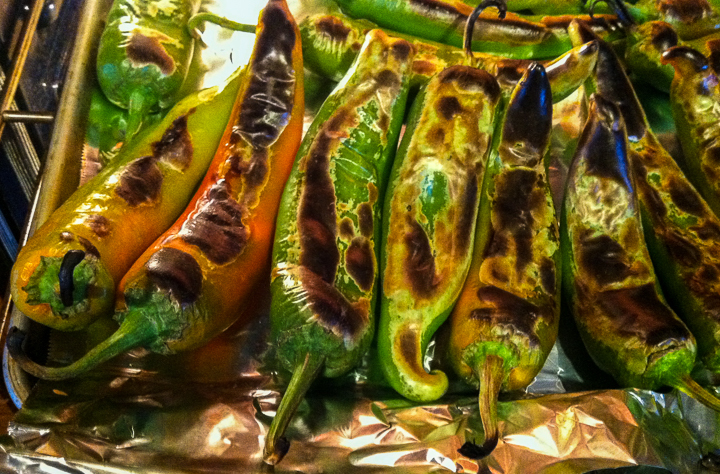 Answer: The same Hatch chiles, freshly roasted in my kitchen, of course! 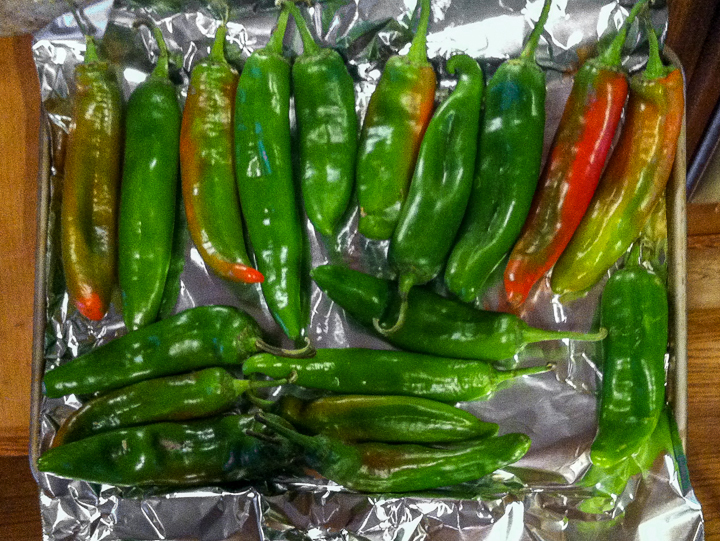 Two batches of chiles spread out on foil-covered sheet pans blistered in minutes under the broiler, a process intended to separate the tough skins from the chiles' flesh. (link) The pungent aroma of oven-roasted chiles perfumed the entire house, encouraging tasty visions of the many semi-spicy dishes to come. Once cooled, peeled, destemmed and deseeded the five pounds of fresh chiles filled (in single layers) five quart-size freezer bags headed for the freezer - plus a handful of chiles held in the fridge to enjoy immediately. So far we have enjoyed: a chile and cheese frittata, chile and cheese grits, and an apple crisp with chiles. Next up will be apple, cheese and chile scones. Hmmm, I sense a breakfast/brunch pattern this week. Some recipes to follow... whenever. 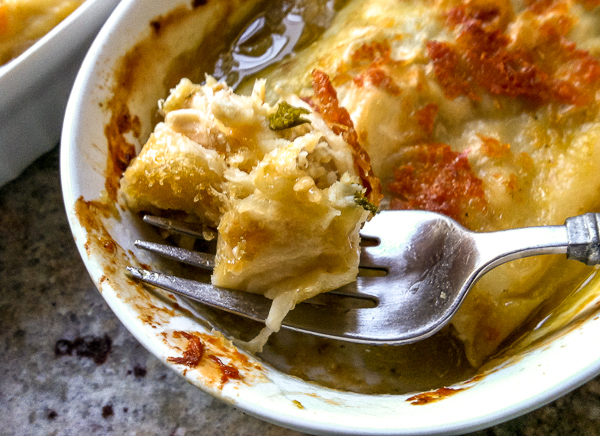 Search "chiles" on this blog and you'll find them used in recipe after recipe. Fresh chiles (poblano, jalapeno, Anaheim, etc.) are a frequent ingredient choice, some sauces call for reconstituted dried chile pods, and jars of single-chile crushed or ground spices (aleppo, ancho, cayenne, chipotle, etc.) fill other flavor-layering needs. I prefer mild-to-medium heat while RL relishes a hefty sweat-on-the-brow impact, but we both agree that we do love chiles. Apple Crisp is such a homey dessert, a comfort-food Autumn classic ubiquitous throughout apple country. 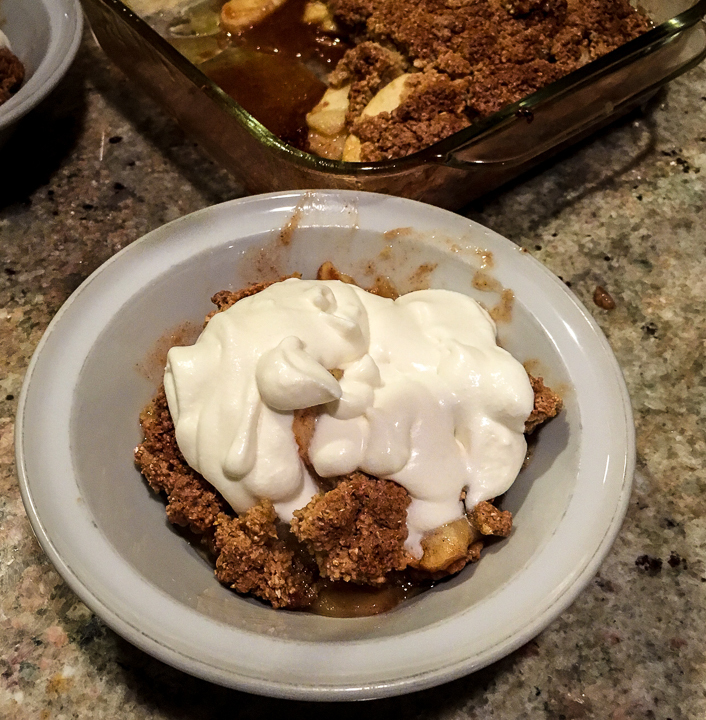 Of course variations abound, but essentially Apple Crisp refers to chopped or sliced, cinnamon-flavored apples that are baked with a streusel topping or crust. Generations of cooks have produced tasty versions without ever opening a cookbook, but here's a streusel topping twist I found in Greg Atkinson's 2008 West Coast Cooking: pour melted butter over the topping instead of working it into the flour/oats/sugar mixture. Shazam! the streusel topping baked up nicely crispy-crunchy and the excess butter flowed to the bottom to mingle with the apple juices and create a lovely sauce. Apples. Sugar. Butter. Really, what's not to like? We ate half of the pan warm for an evening dessert, and the remainder warmed in the microwave at breakfast the next morning. Ahem! that doesn't account for the missing spoonfuls that somehow disappeared between dessert and breakfast. 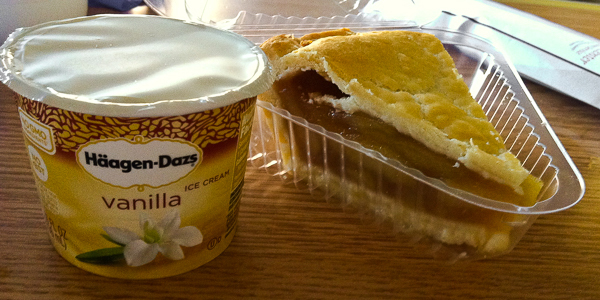 What's your favorite apple dessert? 8 Tablespoons (1 stick) salted butter, melted, plus extra to coat the baking dish. Preheat oven to 375 F; butter an 8-inch square baking dish. Use a food processor and pulse several times to combine the flour, oats, brown sugar & baking powder. Use a fork to gradually incorporate the beaten egg into the oatmeal mix. Pile the apple slices into the baking dish and toss with the sugar, cornstarch and Apple Pie spice. Scatter the oat mixture evenly over the top of the fruit. Drizzle the melted butter evenly over the top. Bake about 45 minutes, or until the topping is golden brown. Serve warm with optional toppings of heavy cream or Greek yogurt. Power outage?!? here in Seattle? Yes, indeed. Forecasters have broadcast warnings across the Pacific Northwest, warning residents to brace for some really ugly weather in the next several days, with an approaching series of three storms holding the potential for high winds and widespread power outages. While not as extreme as the recent hurricane warnings along the East Coast, these storms might be historic for our region... maybe... Those warnings sent me to the freezer to see what might spoil during an extended electrical outage. Luckily the freezer was fairly empty, a rarity around here. 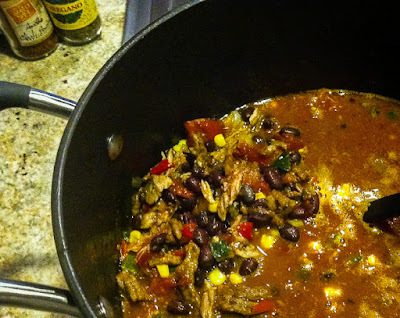 Several packages of Mexican chorizo and some pork neck bones prompted this freeform batch of pork chili which utilized random pantry ingredients already on hand. 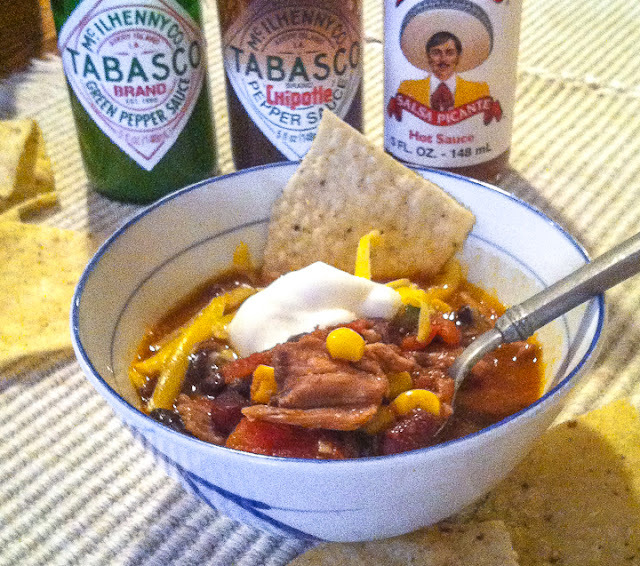 Chili will be easy to reheat using a propane single-burner or even on the barbecue in case of a power outage, or can be packaged into quart containers to freeze if we don't lose power. It feels like a win-win solution, but I really hope the forecasters get it wrong. RL really hopes he's not the one outside on the deck trying to keep the barbecue lit. We sampled the chili last night, adjusting spicy heat and flavors to please both of us, and declared the recipe a keeper. 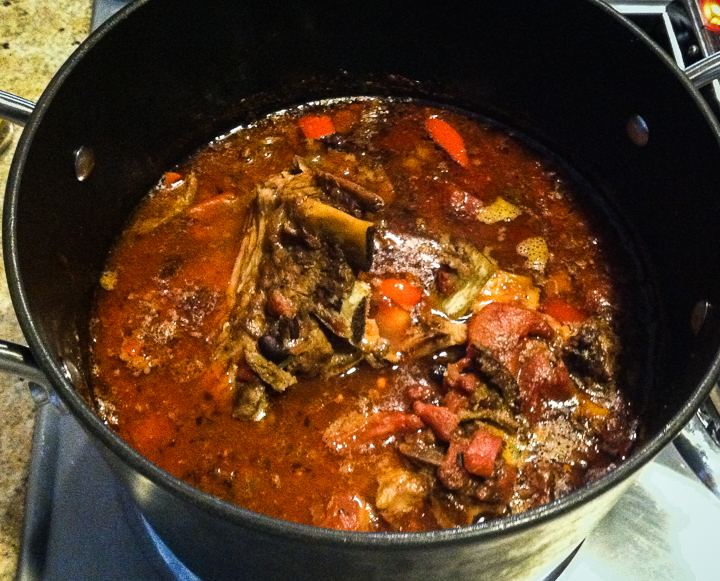 It will undoubtedly be even more flavorful tomorrow after the beans soak up more broth and the flavors blend overnight. A few scrap paper jottings noted the ingredients and quantities I tossed into the pot, so there is a chance of repeating the recipe... maybe. 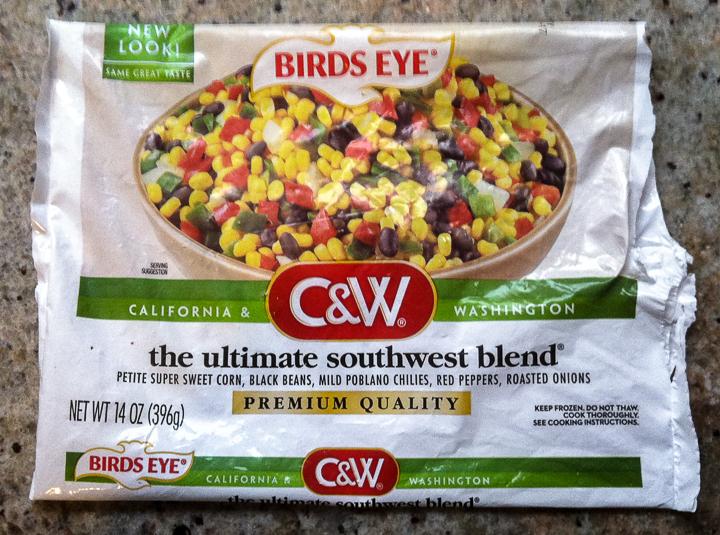 Ah, but I do like to tinker with ingredients and flavors in each new batch of chili, don't you? 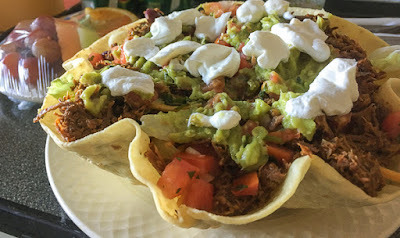 Optional toppings: sour cream, shredded cheddar or pepper jack cheese, diced avocado, diced green onions, jalapeno rings, taco chips, lime wedges, etc. Use a heavy-bottomed kettle and brown the chorizo over medium heat; remove from the pan, drain the grease and set aside. Wipe out the pan to remove the spicy chorizo grease. Add oil to the pan and saute the onion, peppers and garlic. Add the seasonings, cumin through chile powder, and cook until fragrant. 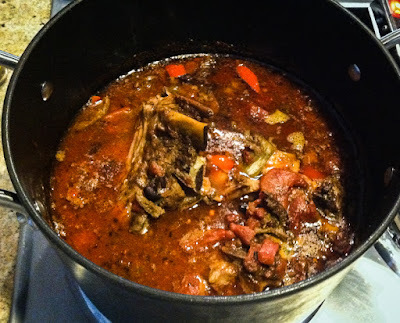 Return the chorizo to the pan; add tomatoes, pork neck bones and enough chicken broth to cover. Bring to a boil, then lower heat and cook partially covered at a low simmer until the pork is ready to fall off the bones (about 2-1/2 hours). 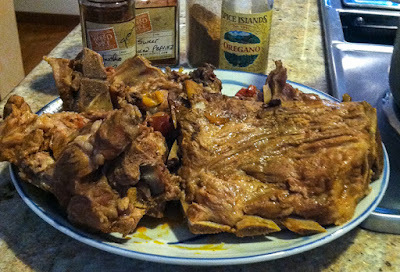 Remove the neck bones from the pot; let sit until cool enough to handle and pull the meat from the bones. Discard bones, rubbery fat, tendons and other strange-textured bits. 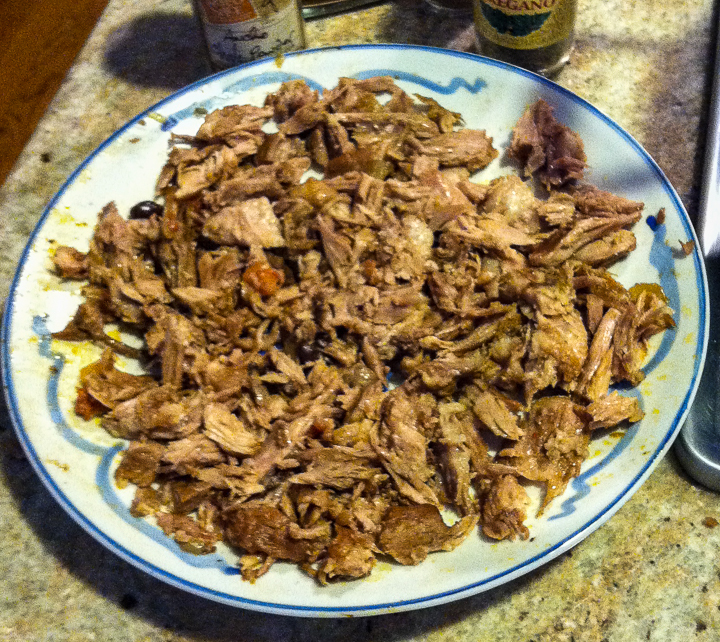 This yielded about 2 cups of meat to add back into the pot. Add the shredded pork, the 2 additional cans of drained & rinsed black beans, a package of frozen Southwest Blend frozen vegetables and 1/4 cup of juice from pickled jalapeno peppersj back into the pot. Cook over medium-low heat to warm through. Taste and adjust seasonings to suit; add more chicken broth if needed to adjust consistency. RL will reach for the salt and a bottle of hot sauce... always... guaranteed. September saw a lot of activity, but not from me and not in my kitchen. I spent the first two weeks in the hospital and the rest of the month resting or clomping around the house using crutches or a walker. My job was to recover and rehab while RL handled the multitude of caregiver and butler duties. 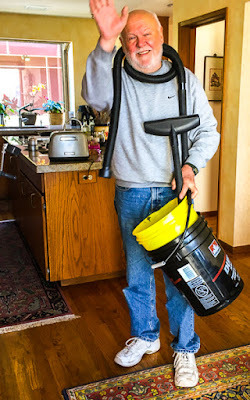 The man deserves a medal for heroic effort and good nature! 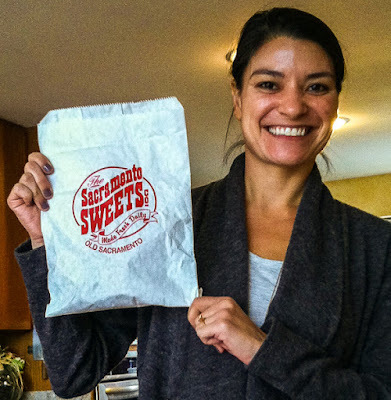 Hilary gets special thanks for running errands, doing in-house projects, brightening up the kitchen with her smile and market bouquets, AND sharing treats from her travels. Nut Brittle & Toffee - we sampled it so quickly none remained for a photo! The freezer In My Kitchen held a variety of homemade soups and chili, plus pork with black beans and chicken enchiladas, products of earlier efforts. 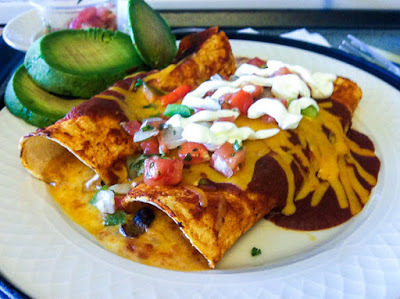 RL had a few meal options during my hospital stay, when he didn't dine with me at UWMC (link). Hospital food? does that phrase call up visions of rubbery eggs, watery tasteless soups and worse? Well, erase those outdated memories of boring, bland hospital food. 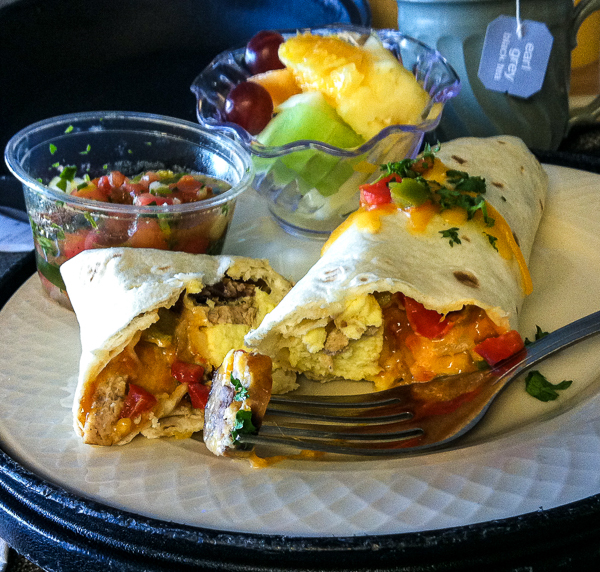 The University of Washington Medical Center's kitchen kept me very well-fed as my appetite recovered after surgery. Soups, stir frys, pasta, entree salads, regional favorites, sandwiches and more were available from 6:30am to 9:30pm. Two weeks were not enough to sample all of the tempting items on the multi-page menu, especially not when I kept returning to my SW favorites! While not an avid cooking enthusiast, RL has been a rock star in the kitchen lately, whipping out tasty fruit smoothies, Spanish omelettes, grilled chops and veggies, plus countless other stovetop treats. Though totally spoiled with meals on demand, I am eager to return to official cook status. The pile of library books stacked on my nightstand runs heavily to newly published cookbooks. 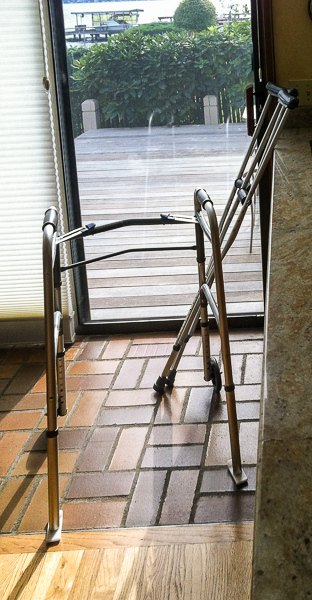 As I grow more comfortable mobilating around, flipping fry pans and the like while on crutches or a walker, I'll be ready to spend more time In My Kitchen. Check back soon to see what's cooking. Meanwhile have fun exploring the many links at BizzyLizzysGoodThings.